A £190 million roads’ programme to boost the regneration of Ravenscraig has been approved by the Glasgow City Region cabinet. The approval for the strategic business case for the Pan-Lanarkshire Orbital project represents the biggest single roads and infrastructure investment in North Lanarkshire’s history. The project will effectively join the M74 in the south with the M80 in the north, in a move expected to increase private sector investment in Ravenscraig and across North Lanarkshire. The business case projects that the programme has the ability to create 6,700 jobs and boost the economy by £360 million. It will provide new and upgraded roads from the M74 at Motherwell, through the strategic investment site at Ravenscraig to the M8 at Eurocentral, and onward past Airdrie on a new link road to the A73 south of Cumbernauld. The project will also see an improved public transport hub at Motherwell train station incorporating access improvements, park and ride expansion, active travel links and new public realm works. 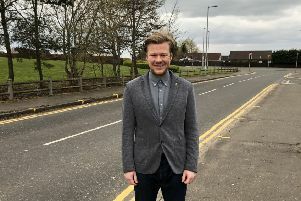 Depute council leader Councillor Paul Kelly said: “This is a hugely significant development for Ravenscraig and the communities of Motherwell and Wishaw. “It is vital that we can attract major investment to Ravenscraig, which is a key development site for the whole North Lanarkshire economy. By creating first class road infrastructure, linking the M74 in the south to the M80 in the North, the site becomes more attractive to future investors. Around £94 million of the investment will come from the Glasgow City Region City Deal, with the balance to be funded through council capital funding and developer contributions. The detailed planning work is now underway, with construction expected to begin in 2019.